Despite all the modern technology and wizardry available these days, many of us look way back in time for our style inspiration. Victorian bathrooms and vintage styles continue to fascinate and delight us in equal measure, and are, in all probability, more popular than they were back then! Considering that most homes in Victorian times had an outdoors toilet and coped without hot running water, this isn't too hard to believe! We often get asked which products are best for creating a Victorian style bathroom. So, in this blog post, we'll be showcasing some of our favourites. These [V&A tiles] are both colourful and vintage in style, featuring a black decorative motif on top of a gorgeous turquoise background. The tile is based on a ceramic tile design from 16th–17th century Syria and can be used as a standalone accent or combined with 3 other décor tiles to create a full motif. 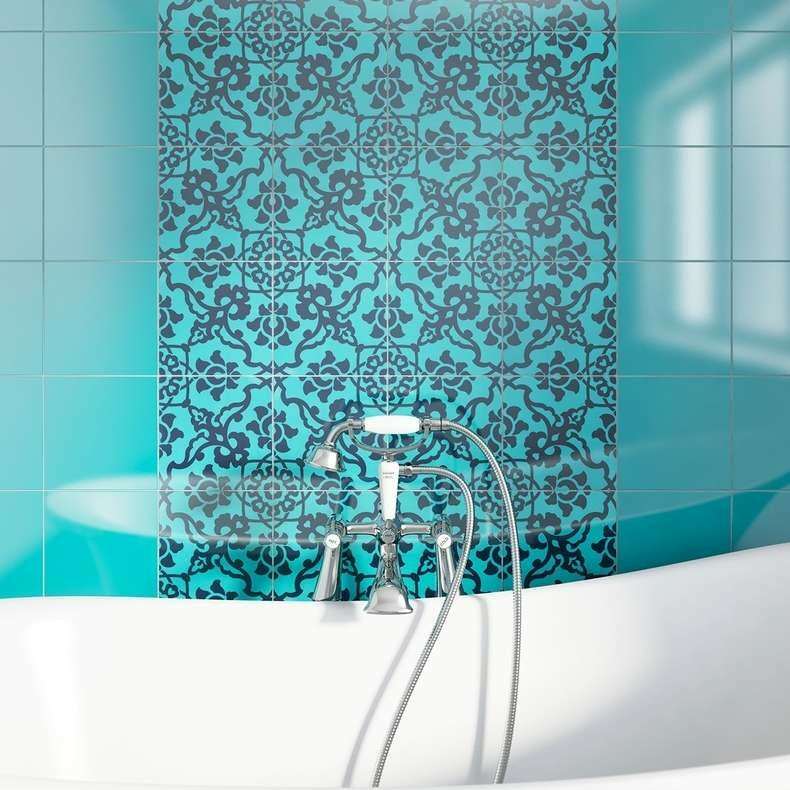 Why not mix and match this motif tile with one of our V&A turquoise gloss tiles to create a border around your pattern? A bathroom simply wouldn't be functional without a toilet, a basin or even a bath or a shower. Now even these essentials can add to the style of the room. Take for example this bathroom suite from The Bath Co. The Dulwich collection (pictured above) is perfect for any period-style bathroom, manufactured from high quality vitreous china, the angular lines and bevelled edges of this sumptuous range recall a classic era of bathroom design. 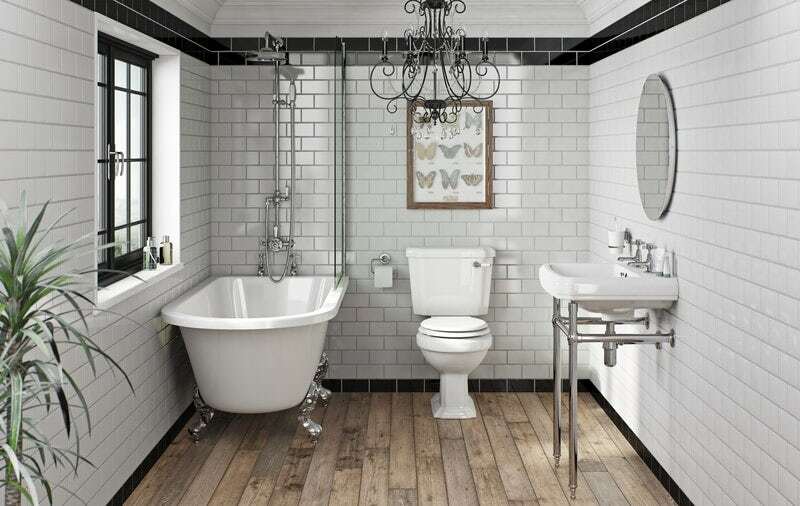 This collection even includes a high level toilet which features a traditional pull chain flush, stainless steel cistern to pan connector and ornate wall brackets. Could you get more traditional? Another great heritage bathroom collection is the Camberley, which includes baths, basins, toilets, furniture and accessories. It combines real style and elegance with all the performance and practicality you'd expect from modern manufacturing and materials, to create a highly versatile and attractive choice. A slipper bath will really enhance a Victorian bathroom. But what is a slipper bath? Nothing quite says luxury like a freestanding bath, and this Winchester slipper bath, with ornate dragon claw feet that raise the tub off the ground, adds to the Victorian bathroom we are looking to achieve. 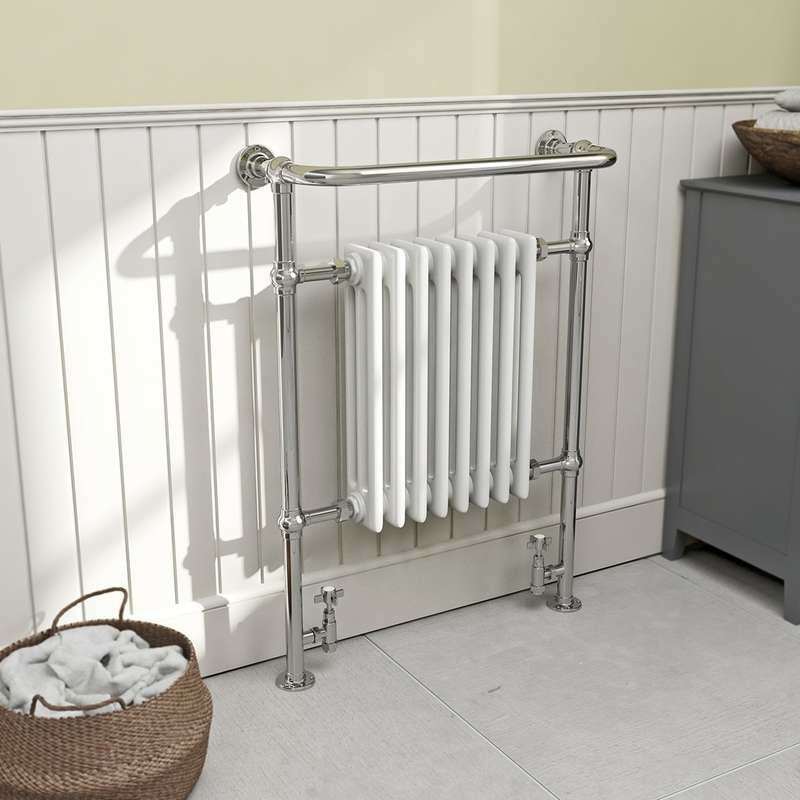 Our final product is the Dulwich traditional radiator, and it is one of our favourites. Not only will the radiator keep your bathroom nice and toasty but it looks amazing. With an anodised cast iron centre, it gives a real modern twist on a traditional radiator. What's your perfect Victorian bathroom? These are our top picks for creating a Victorian style bathroom, but we would love to hear what you think. How would you create your perfect vintage-inspired bathroom? Which products would you choose? Tweet us @VictoriaPlumUK. Traditional v contemporary: Which is the best bathroom suite for my home? 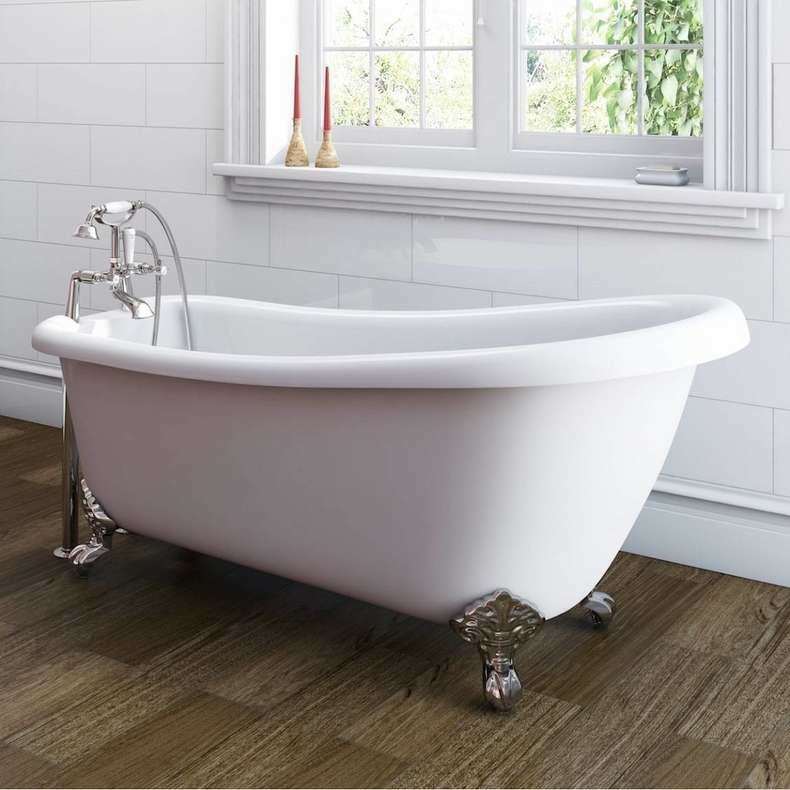 There are two main trends in bathroom suite styles – contemporary and traditional. But which is best for you? Have you ever considered a more traditional style bathroom? These days it's not all about contemporary designs.